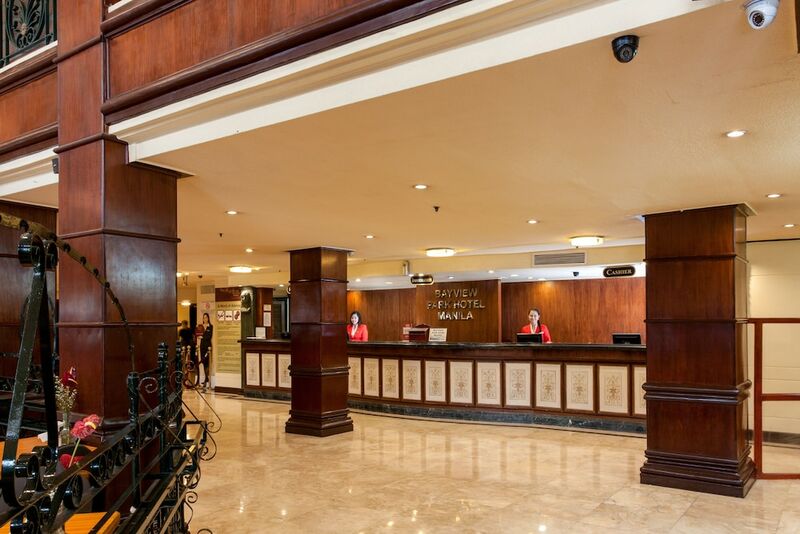 Located in Ermita, this hotel is steps away from U.S. Embassy and Rizal Park. Manila Bay and Manila Ocean Park are also within 10 minutes. United Nations LRT Station is 11 minutes by foot and Pedro Gil LRT Station is 19 minutes. Along with a restaurant, this smoke-free hotel has an outdoor pool and a bar/lounge. Other amenities include a poolside bar, a coffee shop/café and WiFi in public areas. All 282 rooms provide conveniences such as fridges and coffee makers, plus WiFi and TVs. Minibars, room service (during limited hours) and free weekday newspapers are among the other amenities available to guests. The hotel offers a restaurant and a coffee shop/café. Guests can unwind with a drink at one of the hotel's bars, which include A poolside bar and A bar/lounge. Business-related amenities at this 3-star property consist of a business centre and a limo/town car service. Public areas are equipped with wireless Internet access (surcharge). This business-friendly hotel also offers an outdoor pool, multilingual staff and coffee/tea in common area. For a surcharge, a round-trip airport shuttle (available 24 hours) is offered to guests. Bayview Park Hotel Manila is a smoke-free property. Tea Lounge – This restaurant serves breakfast, lunch and dinner. Start your morning with a buffet breakfast, available each day from 6:00 AM to 10:00 AM for a surcharge. Room service is available during limited hours. The property’s Children Activity Area is closed on Monday through Friday. For more details, please contact the property using the information on the reservation confirmation received after booking. Pool access available from 7 AM to 5 PM.